I'm often asked what are my favorite kitchen products and honestly. I have four products that I love and have owned for several years now. 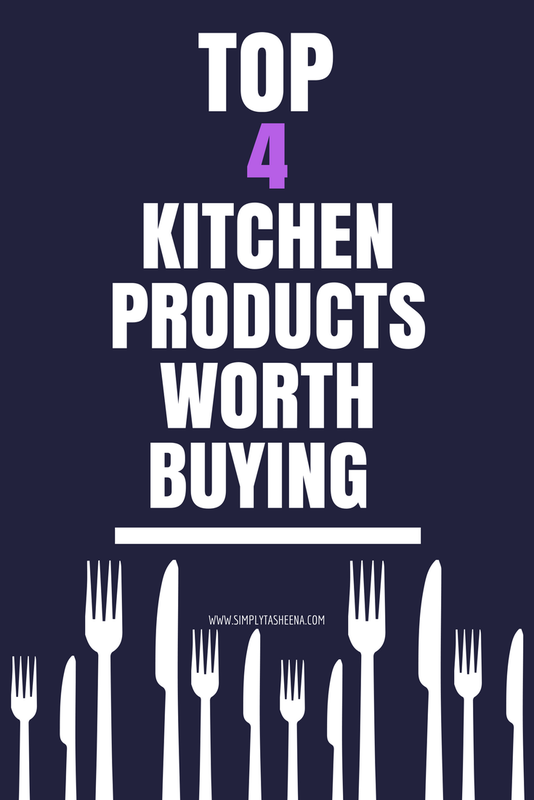 Today I'm sharing my Top 4 Kitchen Products Worth Buying. 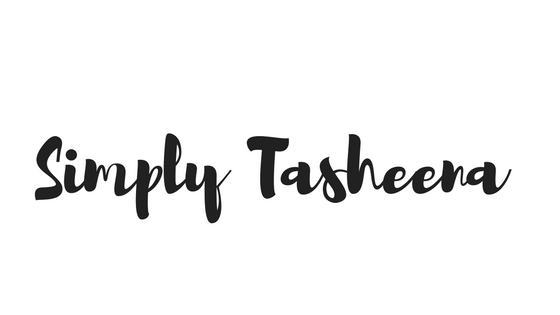 I hope this post can be helpful if you're thinking about purchasing any of these products. I remember the day I received my Kitchen Aid Mixer for Christmas. Boy, that was the best Christmas ever. I had this thing on my wishlist for years. I wasn't sure if I would use it or if it would just collect dust. I love to bake and I could honestly say that my Mixer gets a lot of use. What I love about it most is that it does the job for you. You can multi-task. Set your timer on your phone and check emails and have pizza dough or cinnamon rolls dough needing at the same time. I'm so guilty of this, especially during the holidays. I'll allow the Kitchen Aid Mixer to do its thing and prep other Dishes. I invested in the Vitamix a couple of years ago because I was tired of buying blenders. I found myself purchasing blenders at least once a year if not a couple of times in a year and it really adds up. My Vitamix is my baby, I make everything in it, from soups to cakes. I literally try to make everything in it! This blender is so powerful. I love that when I make smoothies, it has a timer and does the work for me. Most weeks I use it daily if not a couple of times in a day because it just makes things a lot easier to make. Plus, no clumps when making smoothies! I have to be honest with you. When I first purchased this Kitchen Aid food processor. I only purchased it because I wanted to make almond butter at home. It took me so long to make almond butter in it because I wasn't sure if this machine was powerful enough and I didn't want to break it. This food processor has helped me around the kitchen in so many ways. From making vegan burgers to almond butter. It really does make me look like a pro chef. I've been using this thing for years making my black bean burger in it. Last year I finally took the leap to make homemade almond butter in it and it came out perfect. I mean it's so good. Raw with only one ingredient which is Almonds. Theirs nothing like homemade almond butter. After our last juicer broke I was fed up and I was tired of purchasing juicers. I love homemade juices. My favorite is pineapple and ginger juice. Let's not forget good ole' Jamaican carrot juice. Yes, please! This juicer does a wonderful job at doing what it is supposed to do. I have to thank my sister-in-law for really narrowing down my search for me. I did a ton of research. As prior stated I was tired of purchasing a juicer. I've owned this juicer and I just love it. Cleanup is a breeze, and I love that you can put a liner in it to collect the pulp. Below I shared some of my favorite uses for these products. I do not own and of the Kitchen Aid mixer attachments as of right now. However, I am defiantly opened to the idea. Homemade pasta and/or ice cream? Yes, please! Also, please feel free to ask any questions pertaining to these products. As prior mentioned. I've owned them all for a couple of years now and love them and use them. 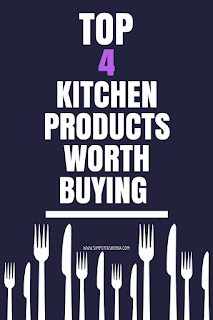 What's your favorite kitchen product? Food processor is my favourite too as it simplifies the work. I have a juicer, toaster, coffee maker and many other. But these are my most used. Yes I love my kitchen aide, I use it more around the holidays but so work having. I would like to get a food processor. Does the Breville blender really awesome? I read reviews but seems not good enough. Have you tried it? Its expensive, yeah but I wish to know if its worth it. I love my kitchen aid! I use it every week! Really amazing list. I have the Kitchen Aid Mixer and I actually find it useful everyday.